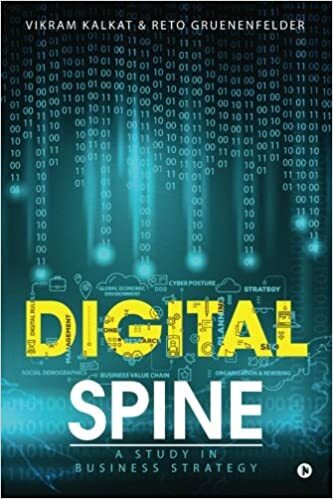 Recently read this very interesting book Digital Spine by Vikram Kalkat and Rep Gruenenfelder. 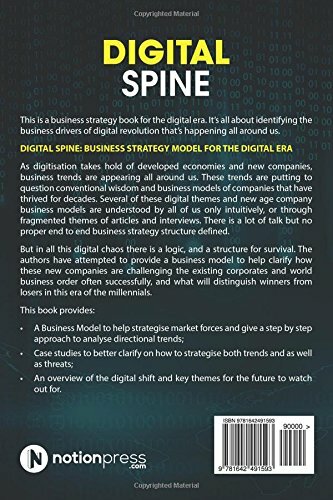 This book talks about a business strategy for the digital era. It delves deep into the business drivers of digital revolution that’s happening all around us. The authors have used data and facts to underscore the significance of digitization in today's time. At the same time they reflect on how future would be impacted by the same. As digitization takes hold of advanced economies and innovative companies, business trends are seeming all around us. These trends are putting to question the predictable wisdom and business models of corporations that have thrived for decades. Several of these digital models and new age company business themes are only understood by all of us only naturally, or through scrappy themes of articles and interviews. There is a lot of chatter but no proper end to end structure defined. But in all this digital chaos there is a reason, and a structure for subsistence. The authors have endeavored to offer a business model to help explain how these new companies are stimulating the existing corporates and world business order often fruitfully, and what will differentiate winners from losers in this era of the millennials. 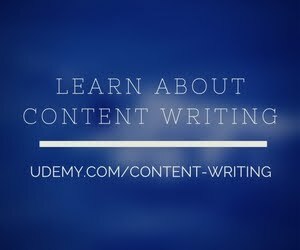 • An overview of the digital shift and key themes for the future to watch out for. The Book is an insightful read and a good read for everyone affected or working in a digital ecosystem. It is relevant to the times and ecosystems we work in today.